AUCTION: Friday, 8 March 2019 at 12:00pm Harcourts Wellington City Office (unless sold prior). If location, proximity and sun are your thing then this is the one for you! Originally an extension to the existing character home, this north facing two-bedroom unit has generous proportions and is nestled in native bush. A modern fully equipped kitchen and bathroom mean there is no renovation needed. In winter, a wood-burning stove and a Rinnai gas heater make it snug and homely while large top-light windows keep it bright and airy. 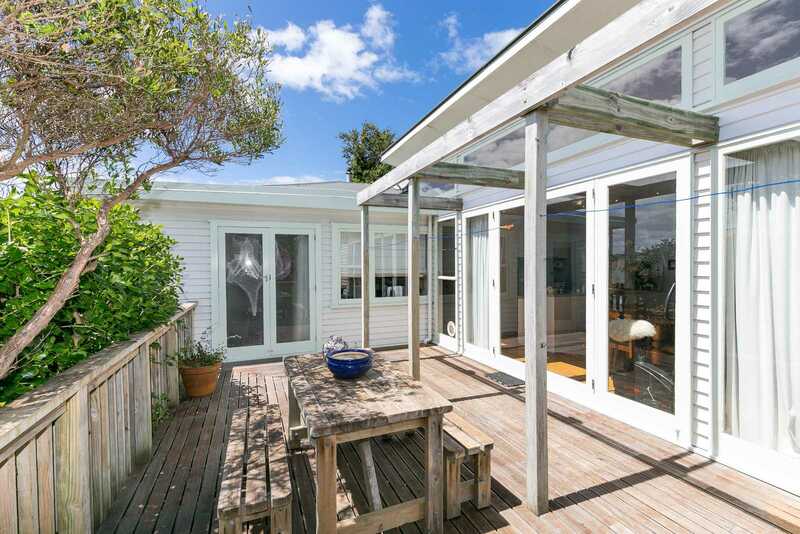 The spacious open plan living area flows onto a substantial deck surrounded by a large private fully fenced garden with easy drive-on access. There is plenty of storage under the unit which has potential for further development, and a great wood storage area under the garage. A large walk in wardrobe adds an extra dimension inside. Enjoy an adult beverage with friends on the deck in the setting sun then drift off to sleep in your own private sanctuary to the sound of native birdsong. I will see you at the open home!